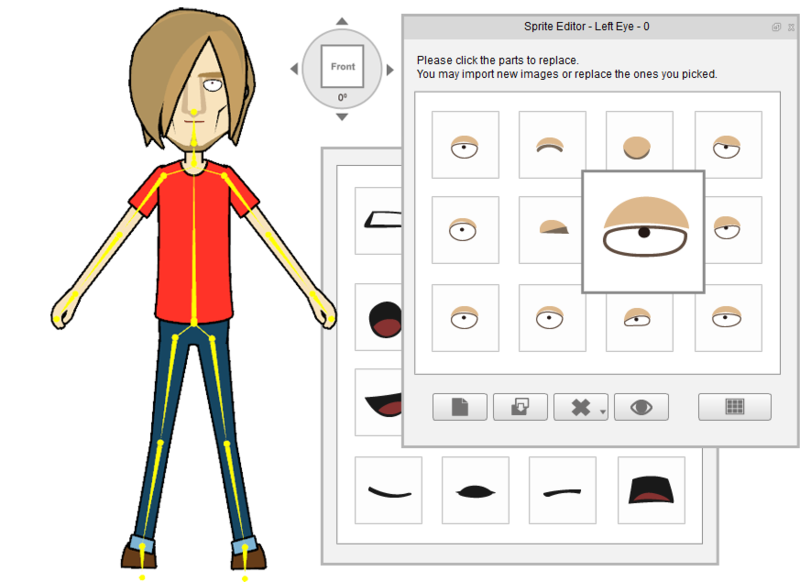 CrazyTalk Animator 2 supports two types of character styles: sprite-based and morph-based. 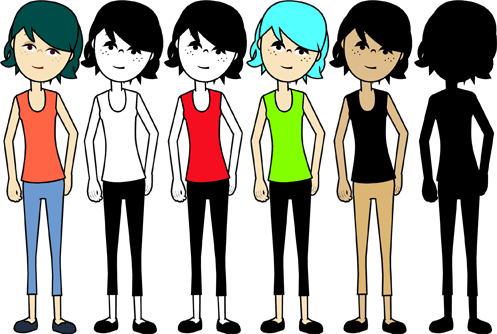 Sprite-based characters are usually assembled with cut-out elements from face or body, suitable for free-style cartoon animations. 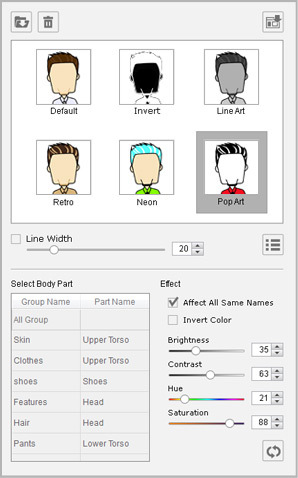 CrazyTalk Animator 2 also provides a huge sprite library for users to mix and match facial and body parts to create unique character styles. 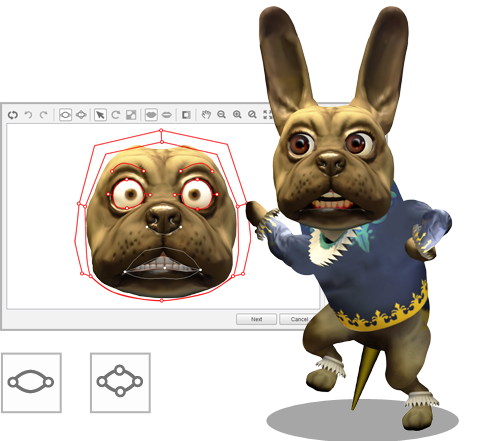 Morph-based characters are created from 2D photos, allowing users to create smooth facial animation by deforming the images. Simply customize characters in their forward perspectives, and the system will then update all character features in all other angles, automatically! Direct import an image from your web cam for faster face-fitting. Fully featured image editor allows you to rotate, crop images, apply color corrections and face fit; all in the same environment. Enhanced facial mesh for wide range of face types that better fit varying facial contours. 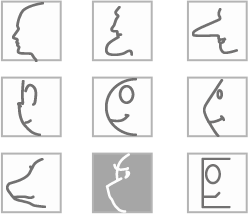 CrazyTalk face profile styles allow animation for different characters including; human, animal, and cartoon-like faces with realistic 3D behaviors. 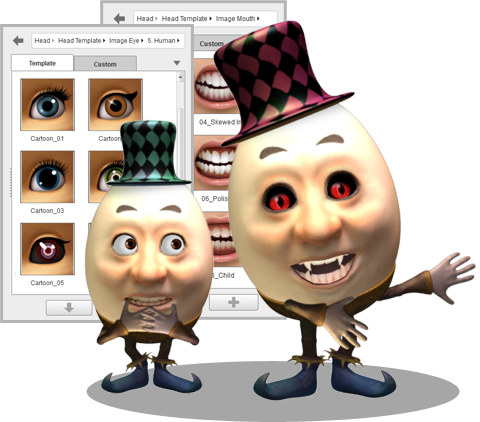 Customize eyes and teeth to perfectly match any character's personality by choosing from a variety of eye and teeth textures. 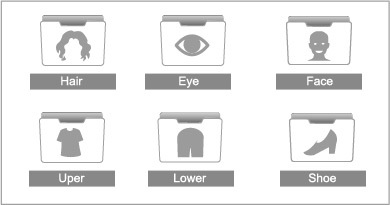 4 layers of eye settings add great realism to virtual eyes - Eyeballs, Eye Optics, Eyelashes and Eye Shadow. 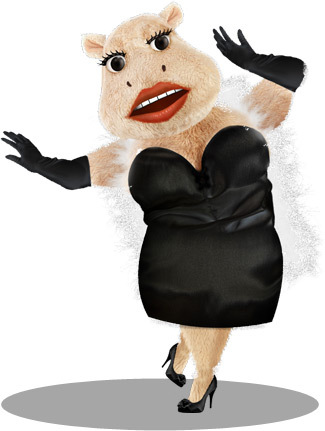 Facial Cosmetic function adds color, style and makeup to a character's face. 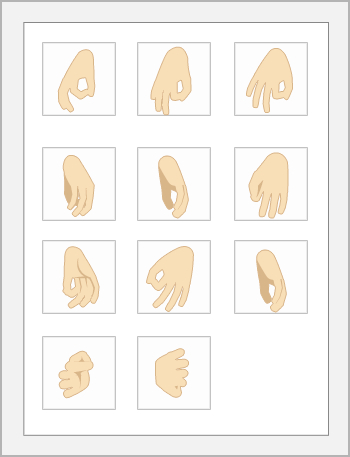 In CrazyTalk Animator 2, you will be able to animate both single-dimensional and multi-dimensional characters. 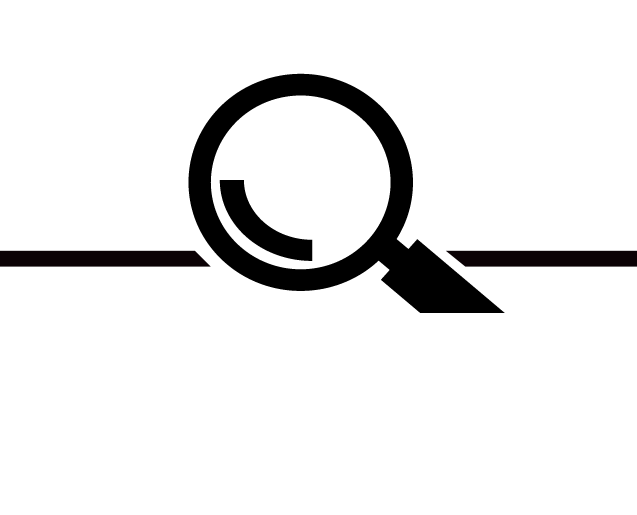 Previously, in version 1, there were only single-dimensional characters with 0 and 315 degree perspectives (front and side). 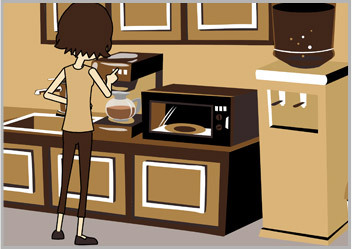 Now, you can choose to create multi-dimensional characters in 10 angles for 2D character animation from multiple perspectives. update the other 9 perspectives for you. 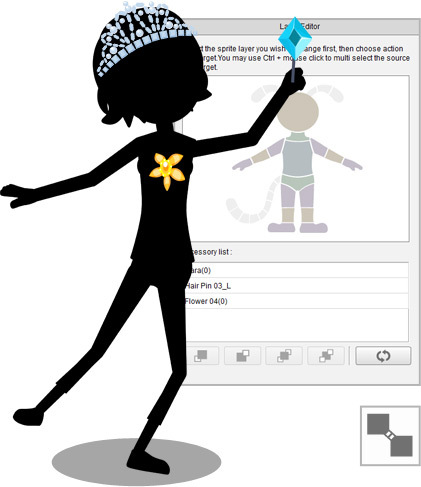 In CrazyTalk Animator 2, you can freely customize characters inside the Character Composer using embedded content or your own imported content. This can help you focus on the character settings prior to returning to the Stage mode for animation. 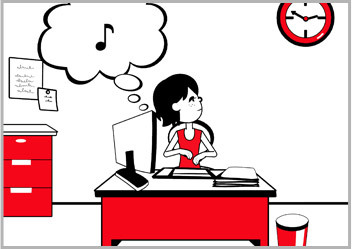 Add personality to a character with custom accessories from any image or Flash media file. Drag imported props and drop them onto a specific body part to attach. body parts or head accessories.